Internet of Things (IoT) is growing exponentially and for healthcare industry, the main objective to leverage on cutting-edge technologies like IoT and mobile app development to enhance patient experience. IoT is bringing new applications, tools and workflows building remote diagnostic systems for healthcare into the mix which ensures better patient care and treatment outcomes by reducing healthcare costs. Virtual assistants, Connected Wearables and Telemedicine are more likely to be accepted by the population as a result of global acceptance for Smart Healthcare solutions. Remote diagnostic system and healthcare solutions are required the most, in locations where instant and modern facilities are lacking. Another reason is growing population and rise in life expectancy globally. As a consequence, doctors are finding it difficult to manage and attend their patients effectively. How IoT based Diagnostic Solutions can improve Healthcare? This calls for a system, a solution which allows doctors to consult and work with more productivity. 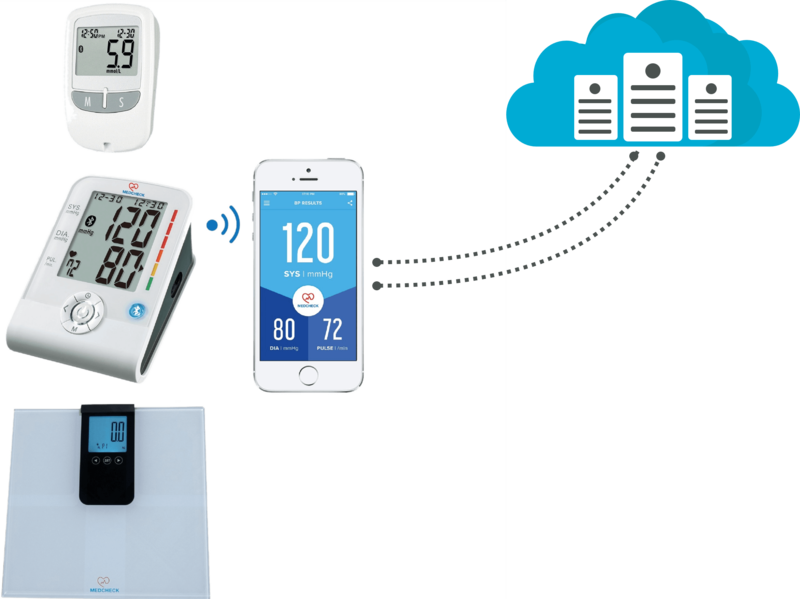 Leveraging bluetooth, IoT and custom mobile app development technology, a Smart Remote Diagnostic app solution is created that allows patients to monitor their health using various bluetooth based hardware devices, send the data to server. Doctors can also track current health state and history and can communicate via video. We at Let’s Nurture, a leading IoT solutions company in India, believe in IoT technology and solutions to have brought huge benefits to healthcare industry. Patients can now use IoT based healthcare devices and mobile apps to monitor and access health records instantly. Patients can also see progress reports and join various healthcare programs. IoT remote diagnostic healthcare app allows doctors to have access to their patient information in advance which leads to better decision making and outcomes. Biggest benefits is remote patient monitoring. IoT technology makes it possible for the collected medicinal records of patients to transmit automatically. Data transfer automation avoids manual errors and installs a secure workflow. IoT app development for healthcare improves overall patient experience by providing timely intervention and diagnosis, improved accuracy, proactive treatments, and better treatment outcomes. How Artificial Intelligence (AI) will improve healthcare? Leveraging AI technology, data gathered through IoT based remote diagnostic system will help doctors to make accurate decisions, which is known as Predictive Analysis. 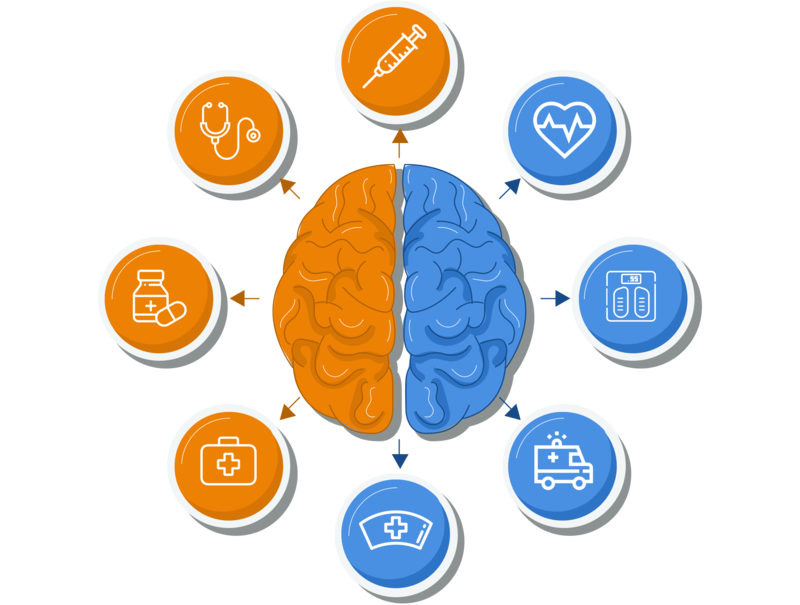 AI supporting technologies will help in analyzing the gathered data and identify the right treatment or course of action. These details will be sent to the doctors and patients too. AI powered Chatbots are being used for emergency contact line to provide instant and accurate information to the patients. Alerts will be triggered when metrics undergo an unusual change, which will alert patient to get the immediate consultation provided by the specialist. There may be an option to contact the individuals or team for urgent help. AI powered Chatbots are encouraged to be used instead of humans to help people looking for emergency services to provide instant & reliable information. Data gathering from multiple sources may be time consuming. AI technology speeds up this process by blending results with key data points to be reviewed. For a critical ailments like Cancer, Machine learning can review millions of images to help doctors in carrying out odd results and making respective decisions. AI-ML uses algorithms which improve by time as more images are fed to it along with doctors’ feedback. This makes future diagnosis better based on past results. Want to Develop IoT/ AI based Remote Diagnostic System for Healthcare? The expert team or IoT and mobile app development of Let’s Nurture have developed a robust and scalable IoT solution for healthcare industry. A custom mobile app and bluetooth enabled portable devices which enable users to measure blood pressure, blood glucose level, BMI test and heart status without stepping out of home. 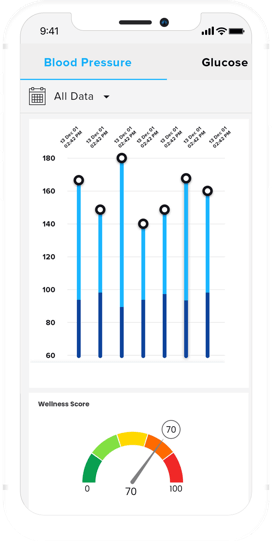 This healthcare app solution keeps the record of such data in easy-to-understand graphs and smart filters. It also allows to find and consult doctors while feature to share the records to serve the purpose of remote patient monitoring. We have developed an infant health tracking and remote monitoring system using smart patch cardiac sensors attached to infants. This bluetooth enabled devices will send continuous data on heart status and pulse rate which will be monitored by parents and doctors remotely once infants are discharged from the hospital. This is a unique solution that provides instant relief to parents as doctors can instantly come to help by having patient data on their hands. The cost of developing IoT powered remote diagnostic solution will cost around a ballpark range of $14000-$16000. Let us have a look at basic features which are accommodated as per the given ballpark cost. With our expertise in Machine Learning and Chatbot development, we can build AI powered or Flow based custom chatbots which can be perfectly suited to emergency situations given their advantage of 24x7 availability and accurate information. The main advantage is the 24 hour availability of the chatbot which will improve patient experience significantly. Alexa will share advice/ tips of the day based on the wellness score of 3 readings i.e. BMI , Blood Pressure and Glucose. Alexa will suggest tips or advise users on exercise, food and other healthcare aspects. Our Alexa Skill Developers have developed custom Alexa skills for motivational quotes for a specific category. Machine Learning (ML) technology helps in carrying out predictive analysis based on patient data records. Algorithms and Custom metrics are used to carry out results which will help doctors and patients in advance to make accurate decisions moving forward. Predictive analysis would help in Readmission prevention, clinical decision support and Patient matching. Why choose Let’s Nurture to develop IoT/ AI based Remote Healthcare Diagnostic Solution? We are confident to be the best in this business as we have expertise in working with smart sensors and bluetooth 5.0 enabled hardware devices along with custom IoT app development. IoT developers at Let’s Nurture are experienced in IoT app development and integration, IoT Plug-ins development, IoT app enhancements, IoT migration or upgradation and more. At Let’s Nurture, IoT consultants and developers possess extensive experience in designing and executing IoT strategy in healthcare industry to ensure full ROI with unique, robust and scalable IoT solutions. Have an awesome idea to unlock unique solutions for healthcare industry leveraging IoT and AI technologies? Do you provide hardware components also along with the mobile app development? We intend to keep it open as per client’s business needs, if clients have their own hardware, we will make it compatible with Android and iOS app that our mobile developers will develop. We can also provide health diagnostic devices from our end with additional cost of hardware devices. Is remote diagnostic healthcare mobility solution HIPAA compliant? Yes, all the IoT based healthcare mobility solution that are developed at Let’s Nurture are HIPAA compliant. Is it possible to add on demand platform for Doctors? So that the users or patients can get emergency help from the doctors when needed. Yes. This on demand video consultation feature can be implemented at additional cost. Users will able to send report instantly to the doctors. Do you have your own Alexa Skill Development Team? Yes, we have in-house Alexa Skills developers to build custom Amazon Alexa Skills. We also are proficient in working with all the voice assistant technologies to develop Voice skills and make them work on Amazon Alexa, Echo, Google Home and more. Can you provide option to hire dedicated web and mobile developers for my IoT based remote healthcare mobility app solution? Yes, we do provide flexible hiring models consisting highly skilled and certified resources (web developers, Android app developers, iOS developers, IoT Programmers) which are well versed in mobile app development projects for diverse industries using latest and cutting edge technologies. Do you offer FREE consultation to understand more about IoT based remote healthcare mobility app solution? We offer a free initial style consultation with no obligation to book an appointment with us. This allows you to get to know our team, gain some valuable advice and decide why we are the right fit for you. Should my on demand gadget marketplace app platform have a feedback submission module? Have an !dea to develop an IoT & AI Powered Remote Diagnostic Systems for Healthcare?